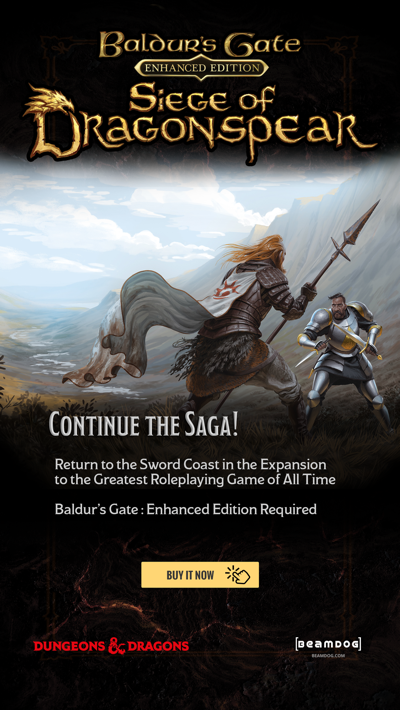 Introducing the brand-new Beamdog Client! But before we get started, please note that the Beamdog Client is not our "next big thing” we’ve been working on for so long, only part of it. Watch out for more news on that soon! The new Beamdog Client will run any product made by Beamdog, and we encourage you to try it out with your Enhanced Edition games. Just download, install, log-in, and point the new client at your existing games using the Find Existing Game button. Why use the new Beamdog Client? Lots of reasons! 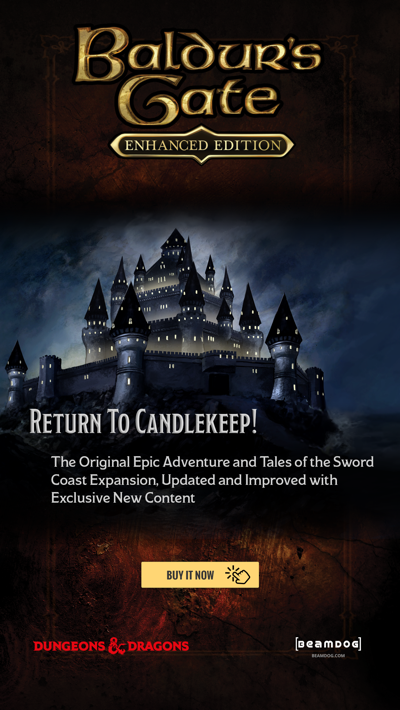 In addition to easy updates, the new Beamdog Client features DRM-free versions of your purchased games, easy-to-access forum links, quick links to the latest versions of online game manuals, and better connections to support. Plus, buying directly from Beamdog helps us support the games you have and make more of the games you love! We’d like for our fans to use the Beamdog Client in the language of their choice. French, Polish, and German are just the start. Watch for more languages in future updates. Windows XP users will not be able to use the new Beamdog Client. We’re sad to let that operating system go, however time, and technology, marches on. Any titles you have through the old client made by studios other than Beamdog will continue to be run through the old client. For those of you asking what will happen to the old Beamdog Client, the answer is nothing. The client and launchers you’re used to using will remain as it is, but will not receive any future updates. We’ll be channeling our efforts into finding solutions for issues within the new Beamdog Client. All of our legacy launchers and clients will continue to be available here. We’re excited to find out what you all think. This is just the start! Get the new Beamdog Client. No downloads for the classic stuff for Linux users?